This is an invigorating deep tissue massage that focuses on targeting specific areas of the body that are stressed or painful. Professional Integrated massage therapist Sue Carberry identifies the area and focuses on the root cause of the issue. 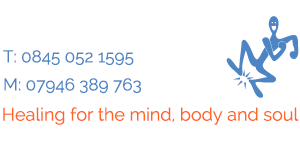 Using a combination of healing techniques; slow, controlled strokes, gentle stretching and acupressure, stressed muscles are relieved, and a sense of well-being is restored. Authentic healing massage aims to soothe, cleanse and energise the whole body physically, emotionally and spiritually to deliver a complete sense of well-being. Authentic healing massage alleviates stress, tension and pain, releasing harmful toxins that build up from around the muscles and joints, allowing them to feel free and energised. Authentic healing massage clears the channels that supply a natural energy flow to the body, which leads to a sense of calm, fulfilment and clarity of thought. Relieving tension, pain and tiredness that reconnect you with your strong and reflective inner self. Sue offers exceptional value for what is the best authentic massage in London most clients have ever had. Once happy clients have reaped the benefits and realised the remarkable improvements authentic healing massage has made to their lives, they return for regular sessions. Watch the following video of Sue Carberry explaining more about Therapeutic Massage.